Before we get into the coachbuilt rareness of this car, let’s start with a little model background. The Bentley Turbo R was a sedan introduced in 1985 and was produced in several iterations through 1999. It was sold in two wheelbases initially, long and short. An updated model went on sale in 1995, and the limited-edition Turbo S was sold in 1995. In 1996, the short-wheelbase cars ended production. Prior to that, long-wheelbase cars were sold as the Bentley Turbo RL. After 1996, they were all long-wheelbase and the “L” was dropped. That’s a long-winded way to tell you that the car presented here is a long-wheelbase Turbo R. But (intrigue!) it’s a coupe. Bentley ever only sold it as a sedan. That’s where Hooper comes in. The coachbuilder, with a longtime association with Bentley and favored car-crafting masters of the British Royal family, built this two-door aluminum-bodied coupe. Still powered by a 296 horsepower, 6.75-liter turbocharged V8, the car features streamlined coachwork and a bespoke interior. Only five were built, and this car – the fourth built – was used in Hooper’s advertising. It’s one of two left-hand-drive examples and is being sold from the Calumet Collection. Click here for more info and here for more from this sale. 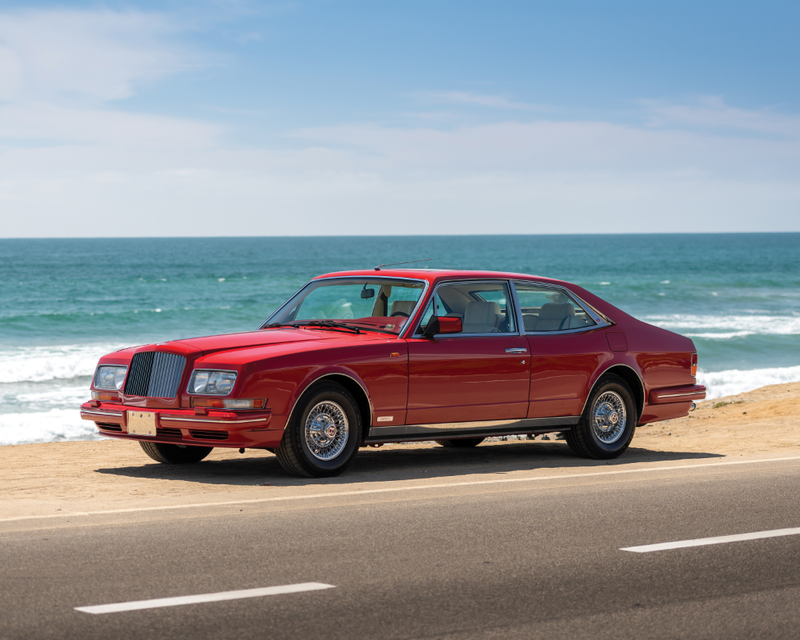 This entry was posted in Uncategorized and tagged 1991, auctions, bentley, cars, classic cars, coupe, empress ii, hooper, rm sothebys, turbo rl by classiccarweekly. Bookmark the permalink.